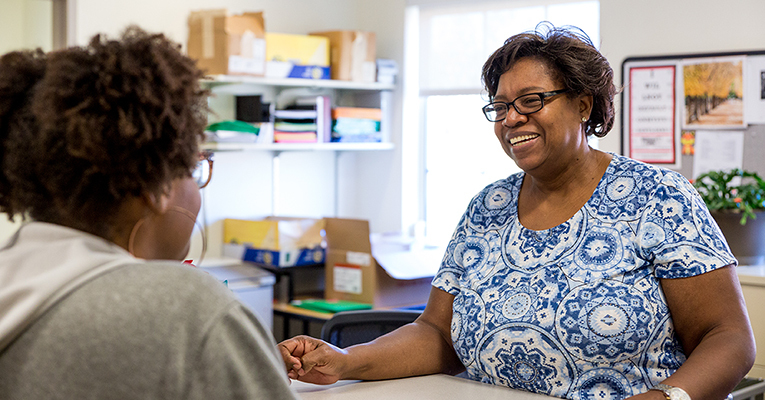 Sweet Briar’s Director of Financial Aid Wanda Spradley (right) talks to DaZané Cole ’20, a student worker in the financial aid office. It’s October, and we all know what that means: It’s FAFSA time! As of Oct. 1, the Free Application for Federal Student Aid is now open, and you should take advantage of it — even if you think you might not qualify for financial aid. (Maybe you do!) But before you jump on it, here are some things to remember when completing the FAFSA. Both you and your parent must create an FSA.ID. Please note: Your parents can use their 2017 tax return(s) for the FAFSA — no need to wait until they have filed their 2018 return(s)! Don’t leave any questions blank. Use zero instead of leaving blank answers. Make sure you use the exact name that is listed on your Social Security card — no nicknames. Check with your high school counselor regarding outside scholarships. They may know of some civic or community organizations that offer scholarships. Meet all deadlines. Check with the colleges you are interested in for deadlines and list those colleges on your FAFSA. Get your FAFSA done as soon as possible. Don’t wait. Ready to fill out the FAFSA? Go to fafsa.gov and get started. 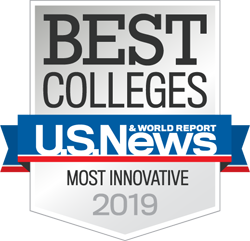 Ready to apply to Sweet Briar? Visit sbc.edu/apply. 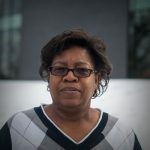 Wanda Spradley is the director of financial aid at Sweet Briar College, where she has been working for more than 15 years. When she isn’t meeting with students or writing award letters, Wanda can be found spending time with her family and scrapbooking. Wanda graduated from Sweet Briar in 2009.